*I want to tie the July 2013 song Families Can Be Together Forever and Pioneer Day (July 24, in Utah) together with the song Genealogy. ***Apparently I am old (?, barely 30s here) and the words and the title of the song Genealogy have been changed to: Family History, I Am Doing It. 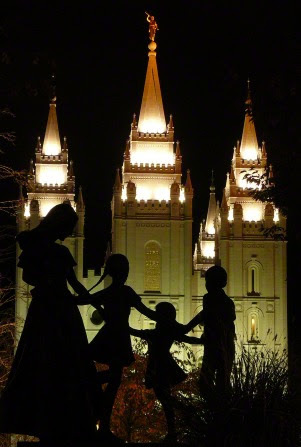 D&C 2:2 And the hearts of the children shall turn to their Fathers. What does this mean? This means that we think of those who came before us. Those who lived long, long ago. Without them, we would be here! We are very thankful for the people who came before us. How do we learn about the people who lived a long time ago? We do our family history! Each one of us has a Family History, and it’s our very own. Yours is different than his, and his is different than hers! Yours is yours and mine is mine. (Talk about own family history). Learn Family History, I Am Doing It. Then sing the song like Pioneers.